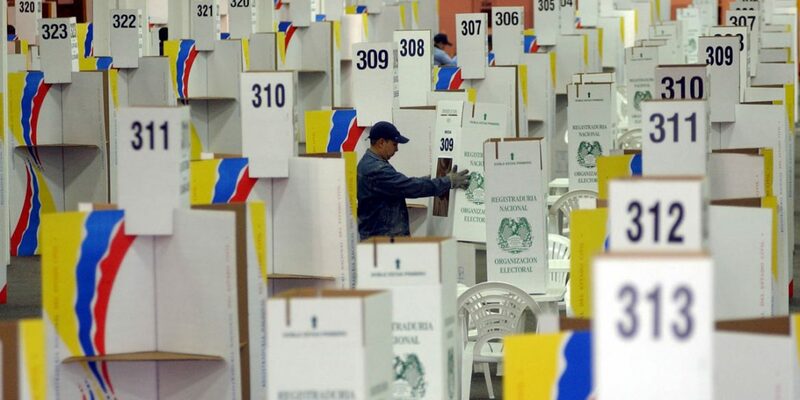 Reports of voting irregularities over Colombia’s presidential election on Sunday have increased dramatically compared to the 2014 elections, according to independent election observers. The Electoral Observation Mission (MOE), said in its final report that it received 2,030 reports of “possible voting irregularities,” an increase of 65% over 2014. MOE used reports from 3,169 national observers, and 139 international observers in the country, and 106 outside the country. For Sunday’s vote one, the observers said they received 433 reports, compared to 197 in the 2014 elections. The observers also reported 167 cases “that affect voter’s freedom” like vote-buying, impersonation, and coercing against voters. “The most reported form [of fraud] was the buying and selling of votes,” said the Director of MOE, Alejandra Barrios Cabrera. The Inspector General’s Office said they received 162 reports of irregularities during the second round of voting. Barrios Cabrera also expressed worries for how disinformation about the electoral process was spread on social media since the original source of memes and messages can sometimes not be traced to the original sender. “Remember that this is a crime called voter fraud and is punishable by 4 to 8 years in prison,” said Barrios Cabrera. Eight people were arrested for election crimes.